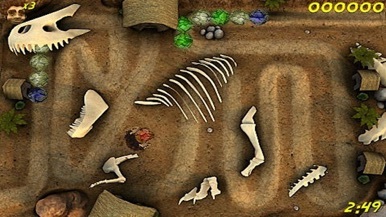 Cronk is a cave man who is trying to save his tribal villages from destruction. In order to help him you must tap the touchscreen to define the direction that you want him to throw his boulders. 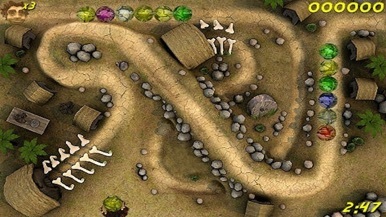 The object is to match three or more of the same color boulders to destroy the train of boulders before they crush Cronk’s village. Along the way you’ll encounter special boulders that will aid in your quest. 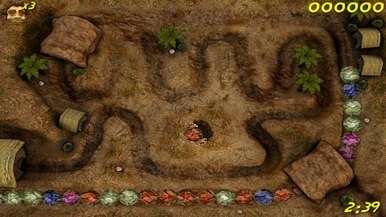 Test your skills with multiple levels of difficulty! - Explosion boulders explodes rocks in the vicinity for more points! 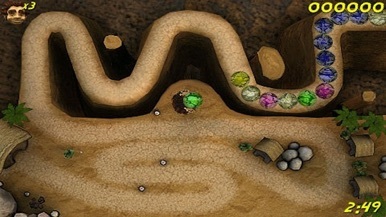 - Pause boulders temporarily pauses the train of boulders for your destroying pleasure! - Reverse boulders puts the train in reverse! - Listen to your own music while you play Cronk!